Learn about upcoming and previous events and get involved. July 28, 2018 - Atlanta, GA - The LTY Foundation will be a health resource vendor at the First Day Fulton Back-to-School Pep Rally. This is a free event for parents and students. On-site registration will be available for students, as well as a Health Fair with a variety of vendors, entertainment, and activities for children. School supplies will be available (while they last), and drawings for door prizes. Join us at Banneker High School, 6015 Feldwood Rd, Atlanta, GA 30349 on Saturday, July 28th from 10 am - 2 pm. July 21, 2018 - Atlanta, GA - Come learn about ways to reduce stress and improve your well-being every day. LTY Foundation will be a health resource vendor at the Healthy Me! Healthy You! festival at Alkebulan Park, The Shrine of the Black Madonna, 946 Ralph David Abernathy Boulevard, Atlanta, GA 30310. July 19, 2018 - Alpharetta, GA - Just in time for Back-to-School, join us for an official Kendra Scott Gives Back Party to benefit LTYF. We will receive 20% of the proceeds from this event. The proceeds will help us provide weekly student sessions covering stress management, anger management, conflict resolution, anxiety, communication skills and much more in 10 Atlanta-area schools this Fall. Enjoy sips, sweets and jewels at Kendra Scott Jewelry, 3150 Avalon Boulevard, Alpharetta, GA 30009, 6:00 - 8:00 pm. May 19, 2018 - Atlanta, GA - Join LTY Foundation as we offer Youth Mental Health First Aid (YMHFA) certification training for adults who regularly interact with youth within our community. Participants will learn the risk factors and warning signs of mental health challenges common among adolescents. Once the course is completed, participants will be confident in assessing and responding to a youth who may or may not be in crisis. Lunch is provided and participants will receive a YMHFA manual and become Certified YMH First Aiders. The training will be held at WeWork Buckhead, 3340 Peachtree Road NE, Atlanta, GA, 30326. October 17, 2017 - LTY Foundation will join Fulton DeKalb Hospital Authority (FDHA) as a mental health vendor from 8:00 am - 3:00 pm at the Hyatt Regency Hotel, 265 Peachtree Street NE, Atlanta, GA 30303. The summit's theme is "RED Alert: Unmasking the Truth about HIV, Poverty, Mental Health, Education, and Violence in our Communities." The purpose of the Health Summit is to build a healthy community by sharing resources and solutions through various workshops, a luncheon, and wellness screenings. Click here for more information. October 14, 2017 - Atlanta, GA - The Annual Ryan Cameron Foundation Health Fair & Walk will be held at The Gallery at South Dekalb Mall from 8:30 am - 2:00 pm. The LTY Foundation will participate as a mental health vendor to impact the health of our community through education and health screenings. RCF would like the community to take advantage of all the free services offered beginning with the Health Walk from 8:30 am - 9:45 am, immediately followed by the Health Fair from 10:00 am - 2:00 pm. All services are free for the entire community. Click here for more information. July 29, 2017 - Lake Junaluska, SC - The LTY Foundation continues to receive requests for our Wellness Account workshop. Based on findings from a Child Trends report, the workshop focuses on building resiliency - the ability to adapt well to adversity, trauma, tragedy, threats or stressors. The workshop can be conducted with teens or adults. Dr. Velma Love will be conducting the workshop at a SC United Methodist Church Youth Conference event on July 29th. Contact us to learn how to grow your Emotional Wellness Account. July 22, 2017 - Atlanta, GA - The LTY Foundation will be a health resource vendor at the First Day Fulton Back-to-School Pep Rally. This is a free event for parents and students. On-site registration will be available for students, as well as a Health Fair with a variety of vendors, entertainment, and activities for children. School supplies will be available (while they last), and drawings for door prizes. Join us at North Springs High School, 7447 Roswell Road, Sandy Springs, GA 30328 on Saturday, July 22nd from 10 am - 2 pm. Click here for more information. June 3, 2017 - Atlanta, GA - Quiet Thoughts On A Canvas presents " Embracing The Disorder" at The Wildpitch Music Hall from 3pm -7pm. LTYF will present and provide mental health resources during this event. The focus is to bring awareness and understanding to mental illness through live painting. After two hours of live painting the artwork will be auctioned off and all of the proceeds will go towards Mental Health America of GA. The goal is to give a visual representation of mental illness that allows for people to think twice before judging those who suffer from a mental illness. Join us in ending the stigmas placed on mental illness and mental health! Click here to register. May 5, 2017 & May 13, 2017 - Johns Creek, GA - Join LYT Foundation and Summit Counseling Center as we offer Youth Mental Health First Aid (YMHFA) certification training for adults who regularly interact with youth within our community. Participants will learn the risk factors and warning signs of mental health challenges common among adolescents. Once the course is completed, participants will be confident in assessing and responding to a youth who may or may not be in crisis. Lunch is provided and participants will receive a YMHFA manual and become Certified YMH First Aiders. The training will be held at The Summit Counseling Center, 2750 Old Alabama Road, Suite 200, Johns Creek, GA, 30022. Please email: tgooding@summitcounseling.org to register for one of the FREE training sessions. April 29, 2017 - Atlanta, GA - Join LTY Foundation and NAMI (National Alliance on Mental Illness) Northside for this informative event to learn what services are available in the Atlanta area for individuals and families confronted with mental illness. Organizations and professionals who serve Atlanta's mental health community will be on exhibit to answer questions and present their services between 10:00 am and noon. A free lunch will be provided for those who register followed by a panel presentation from 1:00 - 2:00 pm. Click here to register. February 28, 2017 - Chamblee, GA - As we return to school after the holidays, a timely and provocative film exposes a silent epidemic plaguing America’s educational system. Called a "must-see movie" by The New York Times, Race to Nowhere was the first education film to uncover the epidemic of unhealthy, disengaged and unprepared students caught in the rat race of an obsessive achievement culture. Through heartbreaking stories of students from across the country, the film explores how high-stakes testing, runaway school schedules and relentless pressure to achieve has pushed our children to the brink. LTY Foundation is partnering with Chamblee Charter High School to feature the film, Race to Nowhere, on Tuesday, February 28th at 6:30 pm in the school auditorium. The film will be followed by a discussion and working session on how to effect positive change and best prepare our students to become healthy, bright, contributing and leading citizens in the 21st century. Students, families, educators and all community members are encouraged to attend this important event. Click here to register for this FREE event! February 23, 2017 - Roswell, GA - High-stress schooling is hurting kids. LTY Foundation is partnering with Centennial High School for the screening of Beyond Measure, the companion film to Race to Nowhere. The screening will take place in the Centennial High School Auditorium on Thursday, February 23, 2017 at 6:30 pm. Past documentaries have dwelled on the education crisis and the policies to blame for it. Beyond Measure follows public schools across the country as they take matters into their own hands, innovating from the inside. Subverting our high-stakes education culture, even when it means putting their jobs at risk, the film’s featured educators are the advance guard in a burgeoning national movement to reinvent school. 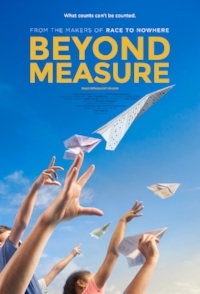 By spotlighting success stories, Beyond Measure shows that it is possible to rise above America’s toxic achievement fixation and build a richer, deeper, more empowering, and student-centered education culture from the ground up. Click here to register for this FREE event! February 8-9, 2017 – Austin, TX – The 17th Annual Central Texas African American Family Support Conference will be held at the Palmer Events Center, 900 Barton Springs Road, Austin, Texas. The mission of the conference is to strengthen family and individual awareness of available behavioral and physical health care services through culturally sensitive education, supports and partnerships. LTYF Co-Founder and President, Tamu Lewis, will conduct a mental health workshop and deliver the keynote address during the Legacy Luncheon on Wednesday, February 8th at 12:15 pm. Click here for more information. January 17, 2017 - Roswell, GA - All youth serving organizations are invited and encouraged to attend this very important Project Lift Georgia, Real Talk episode on "Mental Health and Our Youth!" LTY Foundation President, Tamu Lewis, will serve as a guest panelist. Tamu will discuss how LTY Foundation works to erase the stigma associated with mental illness and the impact of mental health on our youth. She will also share mental health resources with attendees. The youth led talk show will be held at Bridge to Grace Church, 2385 Holcomb Bridge Road, Roswell, GA 30076 beginning at 5:30 pm. November 5, 2016 - LTY Foundation Night with the ATL Hawks! November 5, 2016 – Atlanta, GA – Don't miss the LTY Foundation Night at the ATL Hawks vs. HOU Rockets game on Saturday, November 5th at Philips Arena beginning at 7:30pm. Sponsor a seat for a deserving youth in Atlanta or purchase a ticket for yourself. We will promote the 5 signs that may indicate emotional pain and provide helpful mental health resources. The ATL Hawks will donate a portion of the proceeds to the LTY Foundation to support mental health and wellness education in schools, communities and organizations. Click here to sponsor a student. Click here to purchase tickets for yourself. October 25, 2016 - Roswell, GA - As school gets underway this fall, a timely and provocative film exposes a silent epidemic plaguing America’s educational system. Called a "must-see movie" by The New York Times, Race to Nowhere was the first education film to uncover the epidemic of unhealthy, disengaged and unprepared students caught in the rat race of an obsessive achievement culture. Through heartbreaking stories of students from across the country, the film explores how high-stakes testing, runaway school schedules and relentless pressure to achieve has pushed our children to the brink. LTY Foundation is partnering with Centennial High School to feature the film, Race to Nowhere, on Tuesday, October 25, 2016 at 6:30 pm in the school auditorium. The film will be followed by a discussion and working session on how to effect positive change and best prepare our students to become healthy, bright, contributing and leading citizens in the 21st century. Students, families, educators and all community members are encouraged to attend this important event. Click here to register for this FREE event! October 13-16, 2016 - Columbia, SC - The South Carolina Annual Conference, The United Methodist Church, Office of Connectional Ministries, African American Ministries Division, is hosting its 5th Summit on the Black Church at DoubleTree Hotel, 2100 Bush River Road, Columbia, South Carolina. The overall premise for the Summit is to help lay and clergy understand the need to create and promote a world where people live healthier, safer, and longer lives. Dr. Velma Love will serve as a plenary speaker focusing on the impact of mental illness on our youth on Saturday, October 15th at 10:00 am. Click here for more information. October 11, 2016 - Atlanta, GA - The Fulton DeKalb Hospital Authority (FDHA), proud owners of Grady Health Systems (GHS), is sponsoring its 5th Annual FDHA Health Summit on Tuesday, October 11, 2016 from 8:00 AM to 3:30 PM at the Hyatt Regency Hotel at 265 Peachtree Center Ave NE, Atlanta, GA 30303. The summit’s theme is “Building a Healthy Community: One Step at a Time”. The purpose of the Health Summit is to build a healthy community by sharing resources and solutions through various workshops, a town hall forum, and wellness screenings. As a proud recipient of the FDHA Healthy Communities Grant, LTY Foundation will participate in the Health Summit. Click here to register. September 24, 2016 - Atlanta, GA - LTY Foundation is sponsoring Youth Mental Health First Aid Training on Saturday, September 24th from 10:00 AM to 5:45 PM at the East Roswell Public Library, 2301 Holcomb Bridge Road, Roswell, GA 30076. This is an 8-hour certification course for caring adults who want to help youth (ages 12-18) who may be in crisis or experiencing a mental health challenge. Topics covered include: anxiety, depression, eating disorders, AD/HD, substance use disorder, psychosis and disruptive behavior disorders. Register by September 6th to reserve your training materials. Click here to register for this FREE course! August 29 - September 5, 2016 - The AUSXIP Rizzoli & Isles Charity Auction is back for the the second year! The auction items have been donated by the cast and creators of the Rizzoli & Isles television series on TNT. Lee Thompson Young was filming his forth season as Detective Barry Frost at the time of his death. We are grateful to the AUSXIP fan site and the Rizzoli & Isles family for helping us continue to raise mental health awareness and erase the stigma associated with mental illness. Click here for details and here to register. August 5, 2016 - Santee, SC - The Ollie Johnson Memorial I-95 Health Fair is being held from 10:00am - 2:00pm at the Santee Conference Center, 1738 Bass Drive, Santee, SC. The Health Fair, sponsored in part by Congressman James E. Clyburn, is designed to focus on the grave health disparities along the I-95 Corridor in SC. Many times it is the lack of a diagnosis or proper treatment of chronic illnesses that leads to irreversible damage. This Health Fair offers free screenings, health information and much more. Look for the LTY Foundation resource table. Click here to register or for more information. July 30, 2016 - Atlanta, GA - Good Samaritan Atlanta is hosting their annual Back to School Clinic at The Good Samaritan Health Center, 1015 Donald Lee Hollowell Pkwy, Atlanta, GA 30318 from 8am-12pm. LTY Foundation will have a resource table at the event. It’s going to be a fun day with free food, health screenings, eye exams, vaccines, and tons of fun. Please join us. May 21, 2016 - Columbia, SC - The Empowerment Corp, in partnership with Holistic Psychological Associates, presents the stage play: "Struggling to Find Hope." The stage play is about a family trying to deal with mental illness. Following the stage play, there will be a professional panel discussion about mental health issues that impact our community. The tickets are $20. The event will be held at The Comedy House, 2768 Decker Boulevard, Columbia, SC 29206. Click here to purchase tickets. May 21, 2016 - Atlanta, GA - The Omega Psi Phi Fraternity is hosting the inaugural Mental Health & Wellness Fair. The fair is part of the national initiative to address mental health, "Brother You're On My Mind". The LTY Foundation will provide free resources and mental and behavioral information. The fair is free for everyone. It will be held at ITC, 700 Martin Luther King, Jr. Drive, Atlanta, GA 30314 on Saturday, May 21st from 10:00am until 3:00pm. Click here to register. May 19, 2016 - Atlanta, GA - The United Way of Greater Atlanta presents "I Am More Than..." Mental Health Forum on Thursday, May 19th from 8:00am until 3:00pm at 453 Freedom Parkway Atlanta, GA 30307. The LTY Foundation will participate in the forum. Sessions include: school and home-based therapeutic interventions; language and transportation as barriers to care; integration of mental health and other social services; and, local mental health policy. Be sure to register for this FREE, informative event! Breakfast and lunch will be provided. Click here to register. Apr. 30, 2016 - Atlanta, GA - The Lee Thompson Young Foundation presented workshops on "How to Handle Stress" at Miller Grove High School during the South Dekalb Family Resource Expo. The Foundation also provided materials and information on knowing the "Five Signs" that may indicate emotional pain, how to handle bullying and tips on fostering emotional wellness in children. Feb. 3, 2016 – Atlanta, GA – The Lee Thompson Young Foundation hosted a second round of mental health awareness and wellness training sessions at Chamblee Charter High School for teachers, parents, and community members. November 11, 2015 - LTY Foundation Night at the Atlanta Hawks Game! November 11, 2015 – Atlanta, GA – The Atlanta Hawks highlighted the Lee Thompson Young during its Foundation Night at Philips Arena. The Hawks promoted Mental Health Wellness Week (November 8th - 14th) and showed appreciation to members of our military, past and present, for Veteran's Day. A portion of the proceeds went to the Lee Thompson Young Foundation to support mental health and wellness education in schools, communities and organizations. Oct. 21st and 29th, 2015 – Atlanta, GA – The Lee Thompson Young Foundation hosted mental health awareness and wellness trainings at both Kindezi School locations for students and educators. Oct. 7, 2015 – Atlanta, GA –The Lee Thompson Young Foundation hosted a mental health awareness and wellness training at Chamblee Charter High School for parents, students and educators. Sessions began at 3:45 p.m. for educators and 6 p.m. for parents and students. Feb. 19, 2015 – Atlanta, GA –The Lee Thompson Young Foundation hosted a mental health education awareness and wellness training at Barnwell Elementary School for parents and educators. Sessions began at 3 p.m. for educators and 6 p.m. for parents. This informative training sessions advocated for the need for proactive communication between all stakeholders when promoting mental health awareness as a vital part of overall health and well-being. Dec. 19, 2014 – Columbia, SC – Meghan Norman of WIS10 interviewed community outreach coordinator Lydia Bailey-Padgett on the state of mental health care in Columbia and how the Foundation's mental health awareness programs seek to address the problem. Sept. 10, 2014 – Columbia, SC – Lee Thompson Young Foundation co-founder Dr. Velma Love discussed mental health illnesses and holistic approaches to care on Awareness, a program produced WIS10 and hosted by Meghan Norman. Nov. 8, 2014 – Atlanta, GA – Members of the Lee Thompson Young Foundation board of directors delivered educational seminars sessions on the topic of mental health conditions to parents and education professionals in two Atlanta area schools. August 7, 2014 – Atlanta, GA – On Sunday, August 10, representatives from the Lee Thompson Young Foundation Board of Directors participated in a community conversation about youth mental health in Columbia, South Carolina. July 26, 2014 – Atlanta, GA – The Lee Thompson Young Foundation hosted its annual meeting of the board of directors in Atlanta. The newly formed foundation aims to eliminate the stigma associated with mental health concerns, encourage holistic approaches to mental health care, and deliver powerful educational resources to communities and organizations in support of the Foundation’s mission and vision. July 25 - July 27, 2014 – Atlanta, GA – The Lee Thompson Young Foundation Board of Directors met in Atlanta, GA to discuss the further development of the Foundation's Mental Health Public Awareness Campaign and create subcommittees to direct the development of the Foundation's core programs.